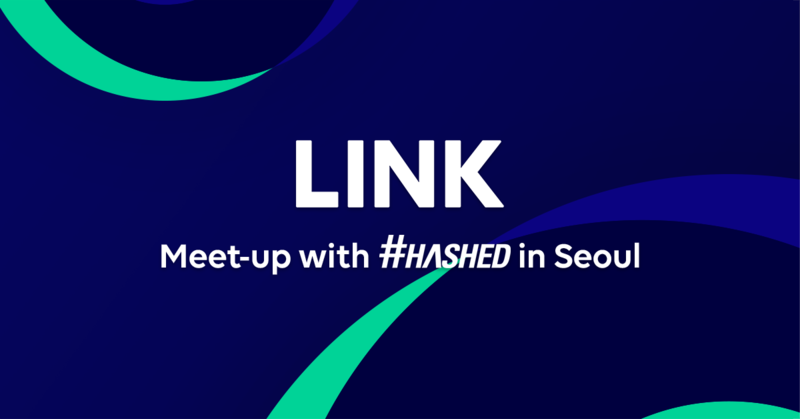 LINK & #HASHED held hands together to make a difference in a blockchain. Our very first step is to hold a meetup in Seoul, which has a significant hype and experts in blockchain. At this meetup, we want to meet and engage closely with people and investors who are passionate about blockchain and LINK project. ☑️ What is Hashed Lounge? Hashed Lounge is a network meetup that introduces innovative technology and projects in blockchain markets worldwide. Hashed wants to build a community with those who believe in decentralized future. Matthew Lee, the leading force of LINK Project at LINE unblock will present what LINE pursues and why LINE chose to start a business in blockchain and cryptocurrency. LINE’s blockchain platform ‘LINK Chain’ and the Token Economy with the general-purpose coin ‘LINK’ will be covered as well. Jason Lee, the Token Analyst at LINE unblock will introduce LINK’s value as asset and supply-demand mechanism of LINK. Also, the growth potential and value of LINK Token based on LINKE’s infrastructure will be explained. Woody Kim from LINK Tokenization will introduce special programs designed for expansion on LINK Ecosystem, including the benefits and opportunities to take part as an initial members of LINE blockchain ecosystem. LINK is a blockchain project of a global instant-messenger corporation LINE. With the infrastructure and business know-hows from LINE, LINK Team aims to build a blockchain platform/dApps and Token Economy that quickly generate public demands. In September 2018, service-centered blockchain platform ‘LINK Chain’ and general-purpose coin ‘LINK(LN)’ were launched. LINK Team now is preparing for expansion on ecosystem by integrating LINE platform, and securing partner dApps. Currently, Naver Search and Clova and LINE are developing LINK-based initial dApp on their own, and investing on various blockchain businesses including cryptocurrency exchange, crypto fund, etc.